We offer a range of refrigeration options with 1,2 and 3 door coolers available in small and large formats. 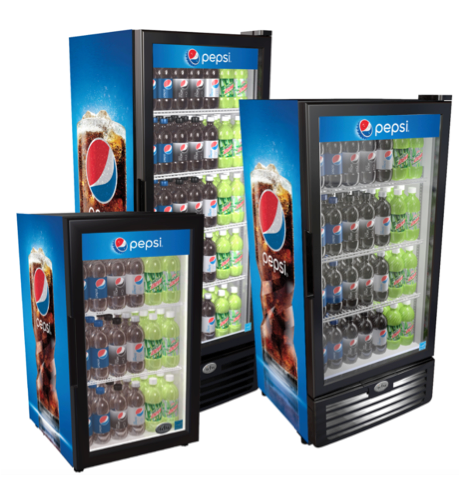 All coolers meet rigorous tests and standards for performance and reliability. Maintenance and repair of our coolers is a priority and we have a dedicated service team to ensure customer satisfaction. River Vending is a small, family owned and operated business servicing the Hudson Valley since 1947. 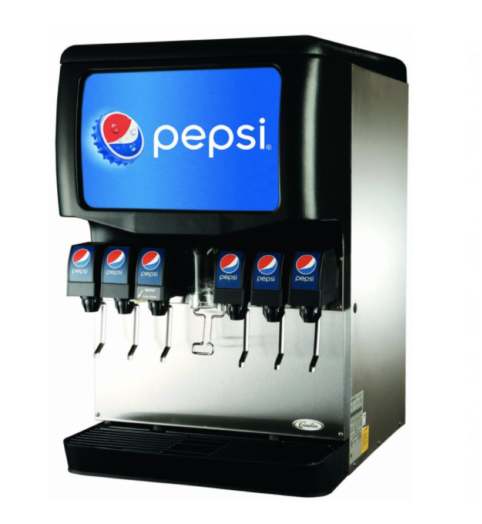 We are partnered with Pepsi Cola of the Hudson Valley to fulfill all beverage needs including coolers and fountain equipment as well as Dowser Water who provides our coffee services for home and office customers. We pride ourselves on excellent customer service to meet all consumer needs. Our equipment is built with the latest technology using Cantaloupe Systems which provide us with up to the hour information to ensure accurate delivery of products. We also offer a wide variety of payment options including Apple pay and Samsung pay through our double encrypted credit card readers. Let us show you what we can do for you and give us a call TODAY! We carry a full line of fountain products including Premix, Post-mix, Bag-in-Shell and Juices. Premix is soda that comes premixed and ready to drink inside 5-gallon tank. It is ideal for locations where you are looking for the quality of a bottled product with the convenience of a fountain application. Ideal for situations where there is poor water quality or no water availability. Post-mix is our concentrated syrup that is mixed with your water to produce our soft drinks at your location. This product is available in a 5-gallon tank or in a Bag-in-Shell. Bag-in-Shell is our concentrated syrup contained within a reusable “eco” friendly package. We have eliminated the cardboard surrounding the bag of syrup and replaced it with a plastic shell. These shells nest together when empty to minimize storage space. 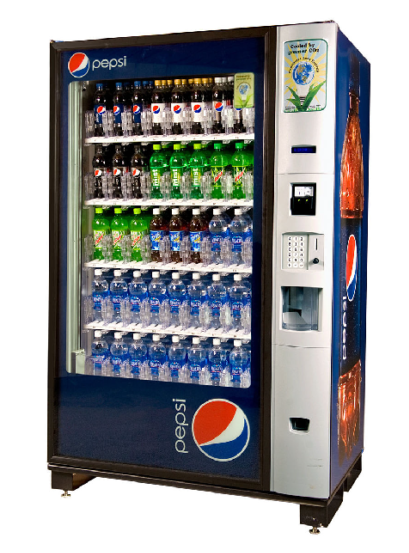 Bottled water and cooler rental plans specific to your needs, that’s our specialty! 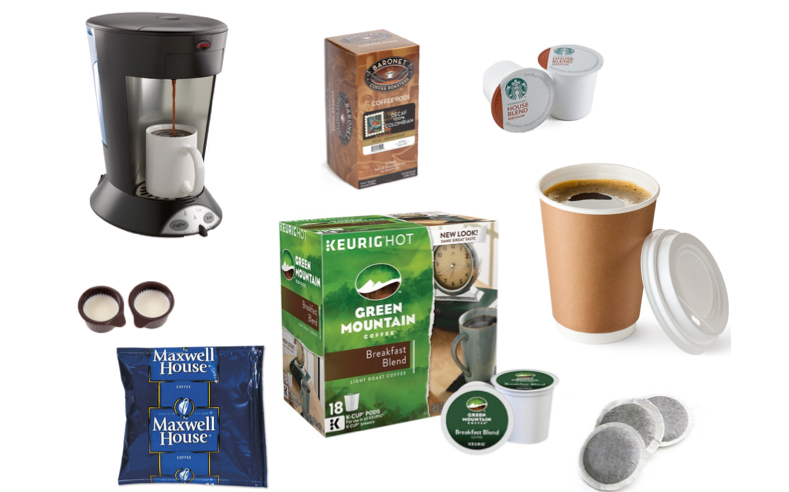 Our office water and coffee delivery features Dowser Spring Water, Green Mountain Coffee, Newport Coffee Roasters and all the national coffee brands. Our full line of condiments and paper goods completes all of your beverage needs. Visit our coffee, bottled water and other products for business. We also offer home and office delivery of a huge selection of other cold beverages. Let us do the heavy lifting for you! Products like Pepsi, Aquafina, Mt. Dew, Gatorade, Lipton Pure Leaf Teas, Starbucks, and that’s just a few! 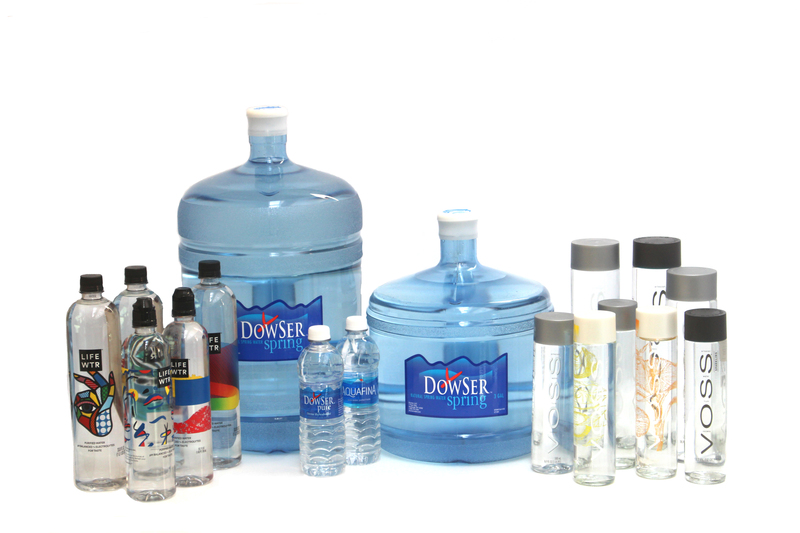 You can order all our products online through Dowser Water.